Celebrate Outdoors by the River. Make Your Online Reservation Today! 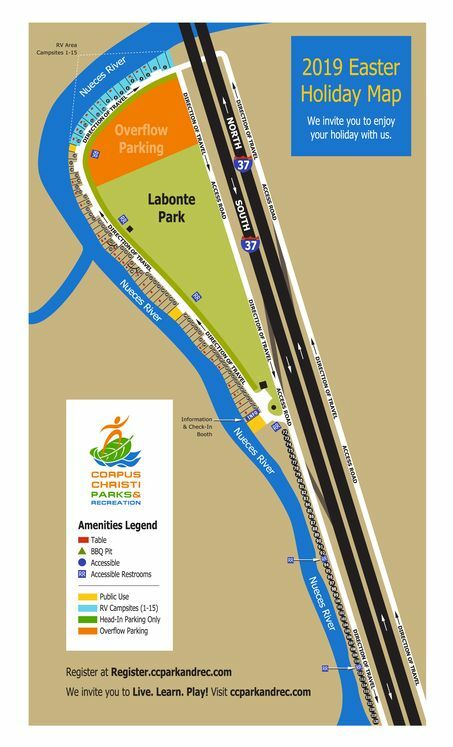 CORPUS CHRISTI, TX – With only 33 campsites remaining, which includes one RV campsite, the time is now to secure your spot to celebrate the Easter holiday at Labonte Park! As you look forward to the next school break, we invite you to spend it outdoors with your family at our most popular park to celebrate this holiday.